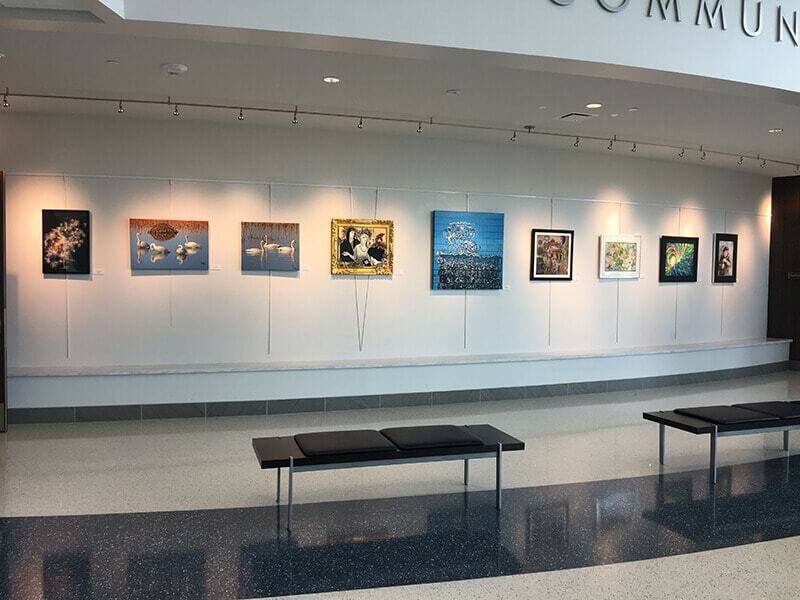 The Lenexa Arts Council hosts rotating 2D and 3D art shows at the City Hall art gallery on approximately a monthly basis. These shows highlight works created by local and regional artists. The City Hall art gallery is located at 17101 W. 87th St. Pkwy., Lenexa, KS 66219. If you would like to have your work considered for a show in the City Hall art gallery, you are invited to apply. We select art based on artistic and cultural significance that encourages public education and appreciation of the arts. We also look for art that demonstrates professional excellence and creativity, taking into consideration general standards of decency and respect for cultural diversity. We host several specific shows each year as a way to celebrate our community’s artistic talents. We choose artists for these shows based on the individual show’s criteria and use a separate application process for each show. We honor the artists in our community each year by hosting the Lenexa Artists’ Show, which features 2D and 3D works by Lenexa residents only. This is a juried show, and our judges give awards in various categories for exceptional artwork. The 2019 Artists' Reception is sponsored by Renewal by Andersen. Entry fee is $10 per artist. Click here for the online application. HeART of Lenexa Contest started in 2015 by Emma Neely, a Lenexa Girl Scout earning her Gold Award, celebrates art and community. Create your work of art to show what you love about Lenexa and enter the contest for your chance to win a prize. You will also be invited to display your art at a show in February 2020. Deadline to enter is Dec. 31, 2019.